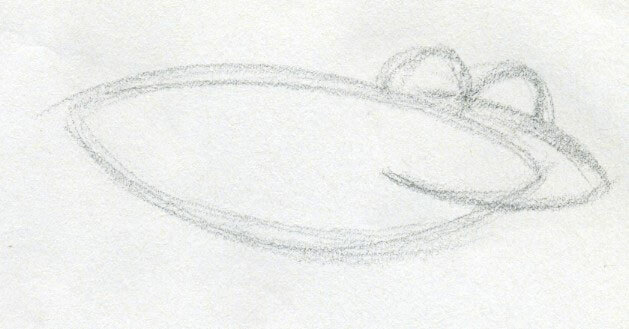 You’re right; a cartoon frog should be easy to draw. I agree, yes, it really is easier than you may think. I don’t know why but it seems many of us loves these cute and funny characters and, we all tend to draw what we love. Do you agree? 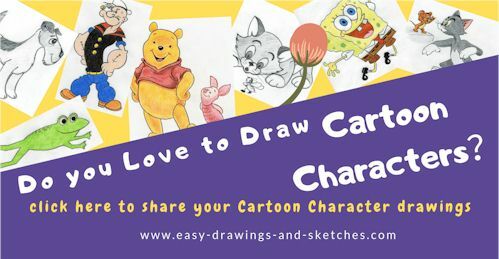 On the following examples I show you 3 simple cartoons with step-by-step process of how to draw them. 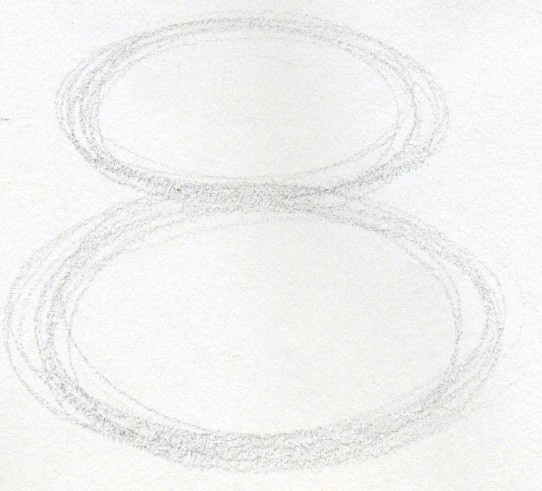 The sequence is always the same or similar as any other drawing. Please learn the below explained process first. Then you simply Google some cartoon frogs images and try to draw them straight from the monitor of your computer without printing them out. That is a very good exercise and you’ll certainly learn a powerful lesson. The images I prepared below are very simple. 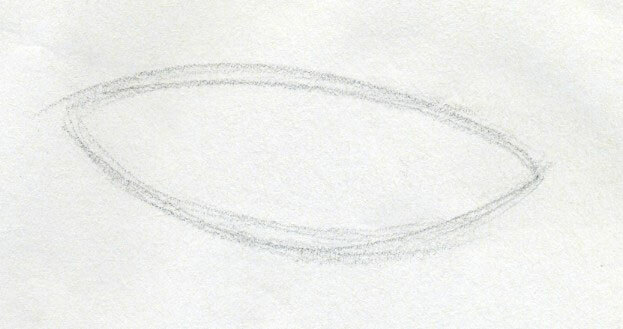 Observe carefully every, even the easiest “easy-to-draw” picture. 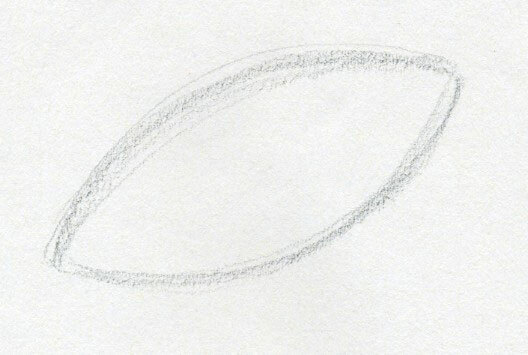 Any object you will ever draw has its shape or consists of many shapes. The shapes and sizes are in certain proportionate balance and are related to each other. Those are the basic points you want to learn how to observe. So is it with this simple jumping cartoon frog. You can print it out if you want but don’t you want to try drawing it directly from the screen of your computer? 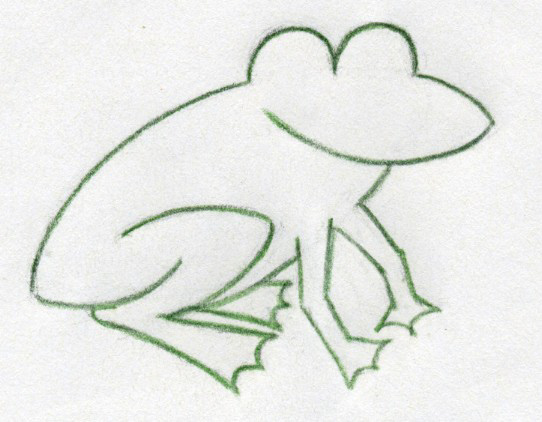 This is a dynamic picture, which means the frog is in motion – jumping. Draw a spindle shaped trunk. The back top is flatter, the bottom – belly is more bowl-shaped. As always, make as many pencil lines as you feel necessary in the beginning, you’ll erase them later. Notice that the mouth is also a half-cut spindle shape, attached to the front of the body. On the top of the head draw the eye halves. Draw the hind legs first. Hind legs are one of the most important body features on frogs. 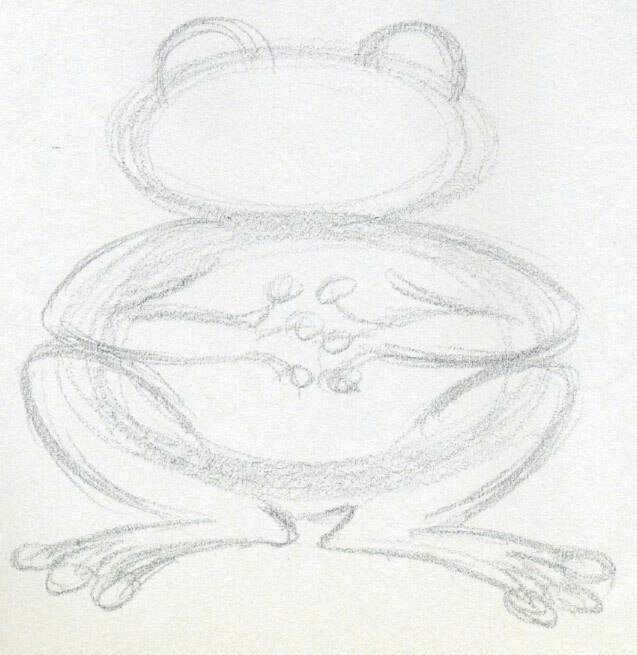 Not only for a cartoon frog, but also if you draw a frog in general. 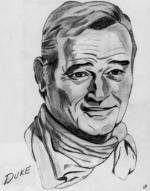 Draw the final body contour over the initial pencil lines and then erase the unnecessary rest. Before you start to color the body, draw the eye circles and leave them white. Chose light green pencil and evenly color out the whole body. 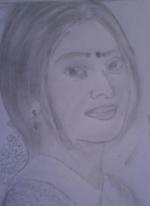 Finally, draw the eyes by black color pencil. 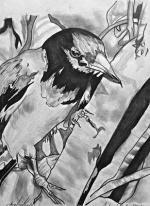 You can do the same with softer ordinary pencil B2 or B4, but the graphite will shine which is not always nice. 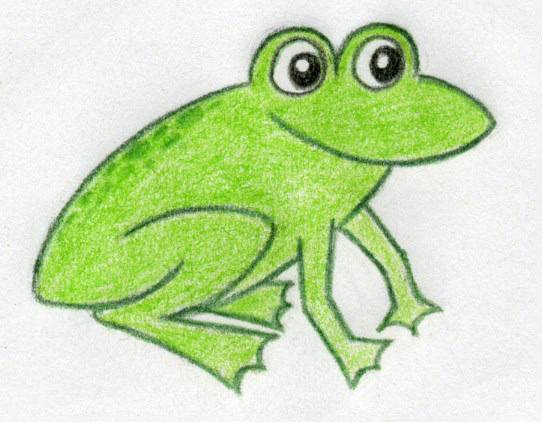 Make a few darker green dots on the back so that your cute jumping cartoon frog appearance looks more natural. 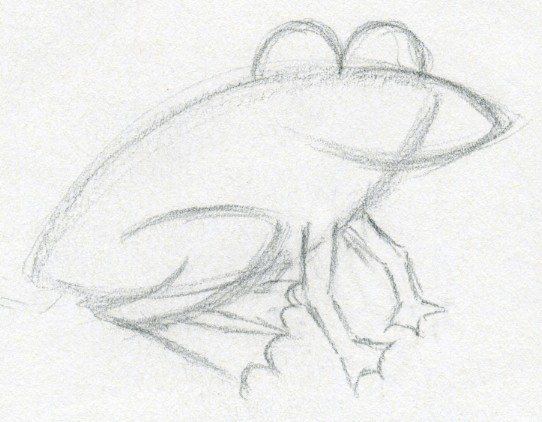 The following frog drawing process is the very same like the above one. You have learned the basic lesson, now you are equipped with the know-how. So let’s use it. This frog may be the same as the above jumping one or maybe it is his younger brother. Who knows? Draw a spindle shaped body first. Maybe this resembles more to a rugby ball. 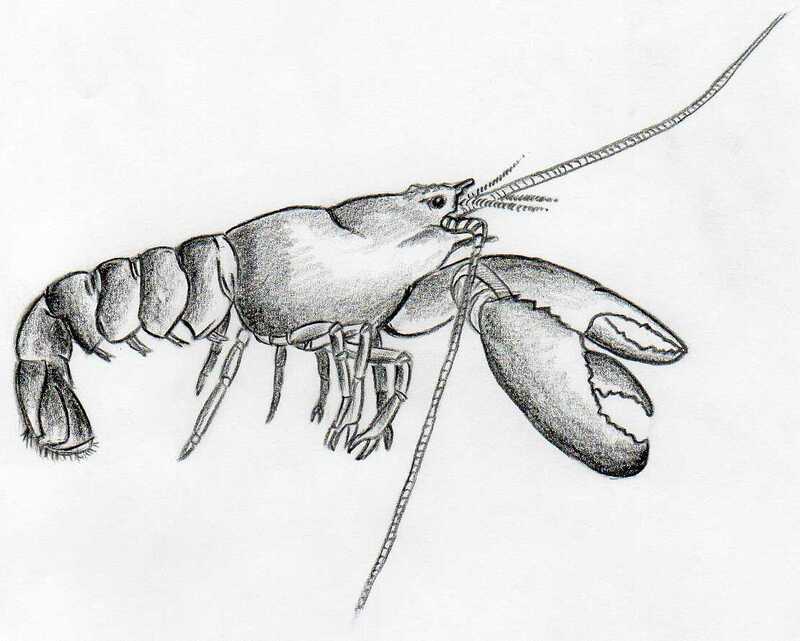 Draw the mouth, the eyes and mark out the hind legs. Finish the hind legs and the foot parts and draw the front legs, or the hands if you like. Now you can draw the final body contour straight by darker green color pencil. Draw the body outline over the initial pencil lines, before you actually begin erasing the excess pencil lines. Repeat the same process as above. Here, you are going to change one small but important detail. You will leave a part in the pupil of the eyes white as the reflection of light. 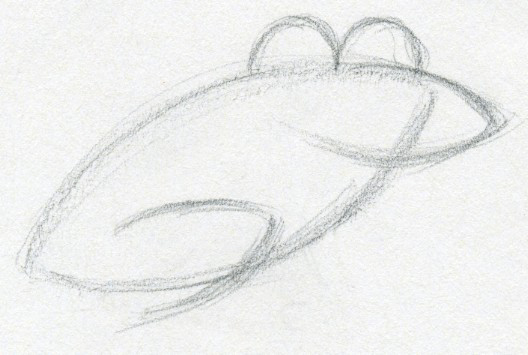 This small detail will give a professional impact on your drawing of cartoon frog. 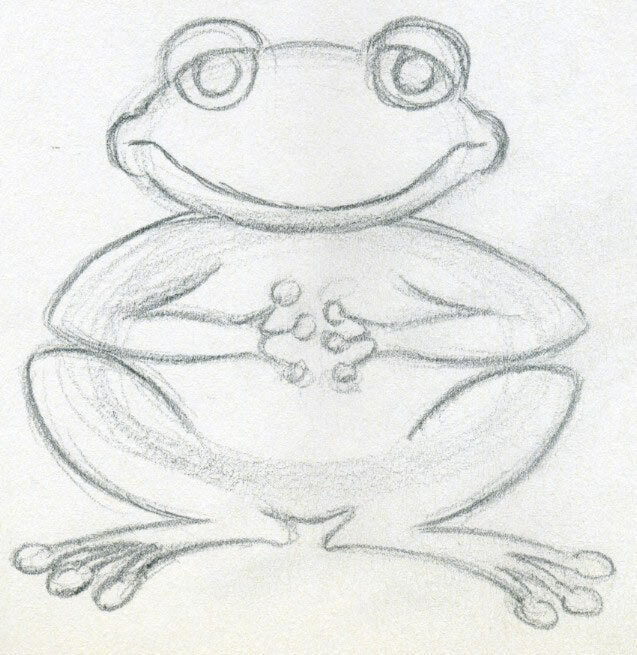 How about drawing a cartoon frog sitting and smiling on us. I am sure you know how to draw a snowman because that is exactly what you need to know as the first step. The process is simple. Draw two slightly flattened balls on each other. The upper is the head the lower will be the trunk or the belly. Now add the legs and the hands. Just do it by weak pencil strokes. Draw as many lines as necessary. Notice that this cartoon frog has three fingers on legs and three fingers on hands. The tip of each finger ends with a ball. Fingers on the legs are longer than on the hands. Add the eyes. Notice how the corners of the mouth stand a bit out on both sides of the head. That is a very powerful detail you should learn. 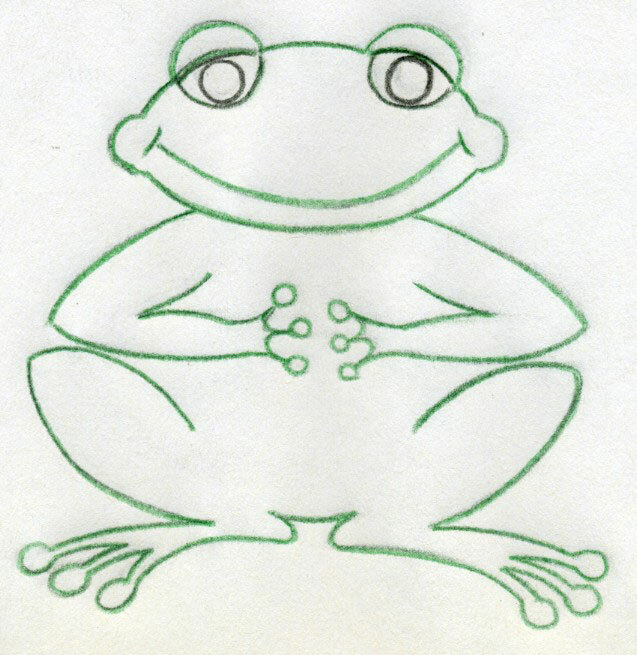 Sure, you can do the frog drawings without it and all will be good, but this detail also makes the carton frog drawing look more professional. I changed a bit the shape of the corners on the mouth line. Do you see it? Both shapes are OK, or even better you can create your own idea. Cartoons are great because while you draw cartoons you can test your own ideas and, I can assure you they often look good. Draw the final body contour with a darker green color over the pencil lines and erase the rest. Eyes come in black pencil. 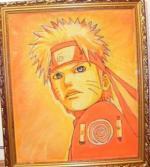 Now, draw first the pupils of the eyes weakly by black color pencil leaving the small white dots in each. 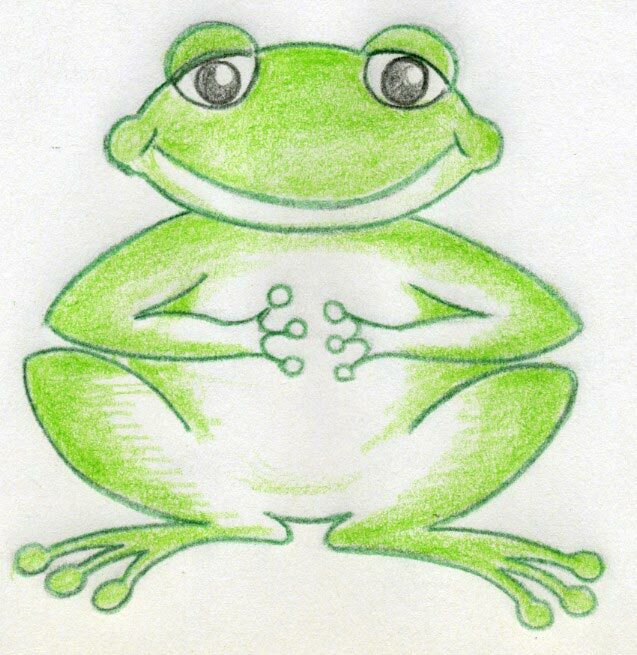 Color the body of the frog by light green. Here I would suggest leaving the belly white so the frog looks better. Darken the eyes black (don’t forget the white spots on pupils). Take a darker green color pencil and shade the outer part of the body a little. Top of the head too. As a final touch, shade the outer part of body by very weak black pencil, over the green color. Do it very gently because it may be difficult to erase once it is done.